I haven’t made a baby card in ages so I thought it was about time I added to my stash. Coastal Cabana is probably one of my favourite In-Colours at the moment (you could probably tell that with how much I’ve used it lately!). I decided it would be a fab colour for a neutral baby card. I’m a bit surprised that with how much I love this colour that I haven’t yet purchased matching ribbon. 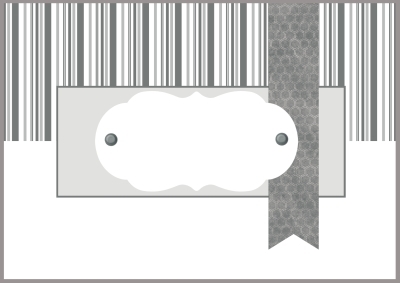 Normally I would throw a bit of ribbon on my card to finish it off, but as I’ve been slack in ordering, I’ve used my new fringing scissors to add a border for a bit of interest. I also got to use my new Stampin’ Up! set called Baby We’ve Grown. How cute are these little owls? The designer series paper I’ve used is a new one too from Stampin’ Up!s 2014 Occasions Catalogue called Retro Fresh DSP. Head over to Just Add Ink and take a look at the gorgeous inspiration from the Design Team. 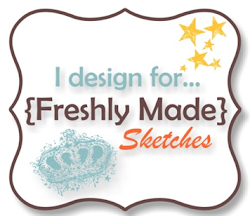 We’d love for you to join us with Paula’s sketch. Nawww how adorable! I really love the look the fringe scissors give! Whenever friends and I are talking abt stamping blogs, I send them to you. The things you do with paper are quite exceptional, Narelle! Thank you for the inspiration.